This week, we break down the intriguing Sheriff’s race between current Sheriff Ralph Obenberger and retired LAPD Supervisor Ingrid Braun. Given the controversy in recent months over traffic enforcement during the Burning Man festival, and a perception of more rigorous (some might say more aggressive) policing under Obenberger (criminal arrests were up 89% in 2013 over 2012), the race sets up perhaps as a referendum on the type of policing local citizens want. What follows are the interviews with the two candidates. One thing for sure. If you sit down to speak with Mono County Sheriff Ralph Obenberger, you’re gonna hear a few stories. The stories are Obenberger’s homespun way of giving insight into how he sees things, how he approaches things. But as roundabout as the stories may appear, Obenberger is anything but roundabout when it comes to what he thinks. He is refreshingly direct, clearly very smart, and doesn’t shy away from politically sensitive topics. 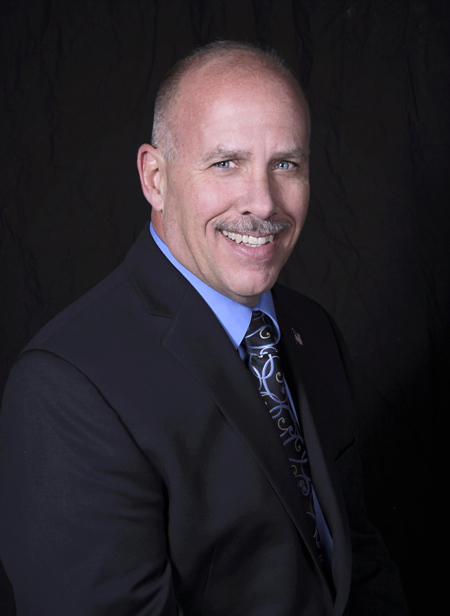 Obenberger, 53, has served as Sheriff since December, 2012, when he replaced the retiring Rick Scholl. Prior to that, Obenberger had served as Scholl’s Undersheriff for five years. He began his career in Mono County as a resident deputy in June Lake in 2000. For Obenberger, who grew up in Whittier and had his first law enforcement job with the L.A. County Sheriff’s Dept. in 1985, the key difference between the two candidates for Sheriff this year is experience, both in handling the elements required for the job, and in each candidate’s familiarity with Mono County. Obenberger cites his experience with jail management, budgets, search and rescue, grants, courts … “how much of this does my opponent know how to do?” he asked rhetorically. He also pointed out that he has resided and worked in Mono County for 14 years, and has had three children graduate from the local schools. Two were valedictorians at Mammoth High School. A son now works at Facebook. By contrast, his opponent has lived in the area fullt-ime for approximately four years, serving one year as a Sheriff’s Deputy. Ms. Braun was dismissed from the department at the end of her probationary period. Except, it appears, in regard to community presence. Braun, said Obenberger, claims the department is not connected with the communities it serves, a claim Obenberger strongly disputes. He says department statistics indicate an increase in foot patrols of 67% in 2013 over 2012. He adds that employee issues are rare, and that the department received no citizen complaints last year. Sheet: What are your thoughts about the much-publicized Boulaalam case [in which Superior Court Judge Magit essentially threw out a traffic stop arrest by Sheriff’s deputies earlier this year]? Obenberger: It was a judgment call [by Deputy Torres and Sgt. Hahn]. I thought the stop was legit. Would I have stopped him? Maybe. Would every single officer stop him? No … I don’t believe they were out there to deliberately mess with that guy. Fundamentally, says Obenberger, there is always going to be a fine line between the perception that you’re not doing enough (they’ll call you lazy) or doing too much (they’ll call you overzealous). But if you don’t think Obenberger understands compromise or knows how to reach a middle ground, consider this: He has been married to his wife Ellen for more than 31 years. If you’d like to learn more about Obenberger from Obenberger, you can visit his website or attend his next meet the candidate event at the Bridgeport Memorial Hall on April 22. When it comes to political races, most candidates run on the platform of change. 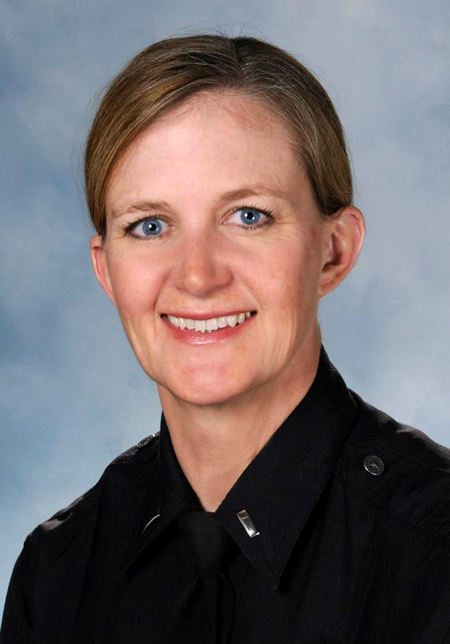 Perhaps more than any other candidate campaigning for office this coming June, Ingrid Braun, for Mono County Sheriff, is focused on changing the community’s perception of and interaction with the department she is hoping to lead. “The Sheriff’s Department could involve the community in how the department is run,” Braun said. “There is no interaction at a command staff level with the community.” Braun suggested building an advisory board of community members to interact directly with the Sheriff’s department. At the LAPD, Braun worked patrols, as an investigator in internal affairs, as a detective, and as a supervisor for 12 years, running a night watch in Central Los Angeles: “I was the big cheese in all of downtown Los Angeles,” Braun said. After retiring from the LAPD, Braun moved to Mammoth and was hired as a Sheriff’s Deputy for Mono County. This experience, Braun believes, gives her the leadership and administrative capabilities to run the Mono County Sheriff’s Department. In coming out of retirement, Braun does acknowledge that there will be double-dipping (collecting a salary and retirement pension simultaneously). Visit braunforsheriff.com for more details about Braun’s campaign.